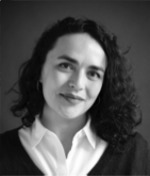 Natasha Zaretsky, Ph.D., is an anthropologist who writes about the politics of memory in the Jewish diaspora and the Americas, exploring the significance of cultural practices developed in response to violence, including music, testimony, social protest, and commemoration. Currently a Visiting Scholar at Rutgers University’s Center for the Study of Genocide and Human Rights, her forthcoming book, Landscapes of Memory and Impunity (co-ed. with A.H. Levine; Brill 2015) examines Jewish life in Argentina in the wake of the 1994 AMIA Bombing. Dr. Zaretsky prepared these reflections as Program Editor and Advisor for the World Premiere of Ittai Shapira’s “The Ethics” at Carnegie Hall on May 14, 2015, an event dedicated to Humanity in Action that commemorates the 70th Anniversary of the Liberation of Theresienstadt.